We had a blast producing this promotional video for Kallima Photography. 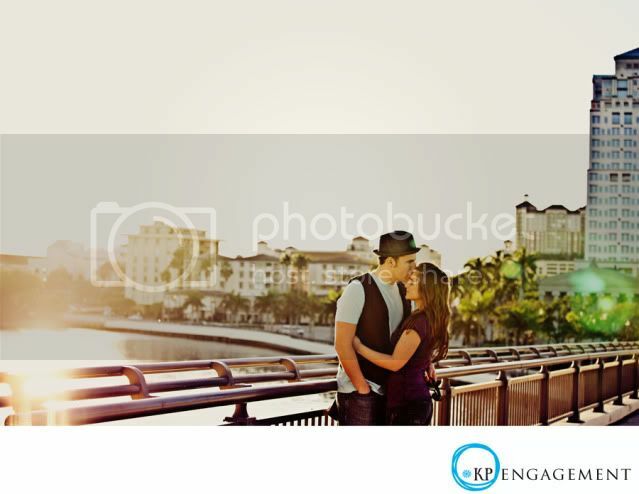 Rebekah Hood is an exceptional photographer in West Palm Beach, Florida. I actually came in contact with her through facebook, oddly enough. She shot a wedding here in Lynchburg that Lyndsey and I both loved. Emails were exchanged and we flew down to Florida a few months later to shoot her promo video...Also, Beka took our engagement photos while we were there(below). Just to be out of Lynchburg for awhile is refreshing. Hands down, South Florida is where we want to reside. Living in Virginia Beach for 12 years was nice, but to have warm weather year round...you can't beat that! I used to travel to Florida's coast a lot to surf and shoot footage for my surf video called "All The Hype". Getting back to the Kallima video. We shot most of the footage at the gorgeous "W" hotel in Fort Lauderdale, Florida. I have seen a lot of nice hotels in my lifetime but I have never quite seen a facilty like the "W" Hotel. I could seriously make a seperate video off the footage I captured while I was there. This place is unreal! They actually had a transparent pool where you could see the people swimming above you! Great wholesome shows like Real Housewives of Orange County have filmed at this location. Seriously though, places like that makes the creativity FLOW. Newer PostEvent lighting and these guys. Older PostSHP featured on Elizabeth Anne Designs blog.